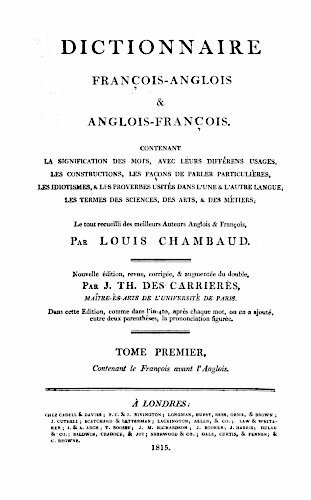 This is a fairly typical title page for a reference work from the period (in this case, 1815) and is somewhat cluttered. In its favour the list of London-based booksellers and publishers at the foot of the page somewhat balances the main heading at the top. The transcription that follows is partial. 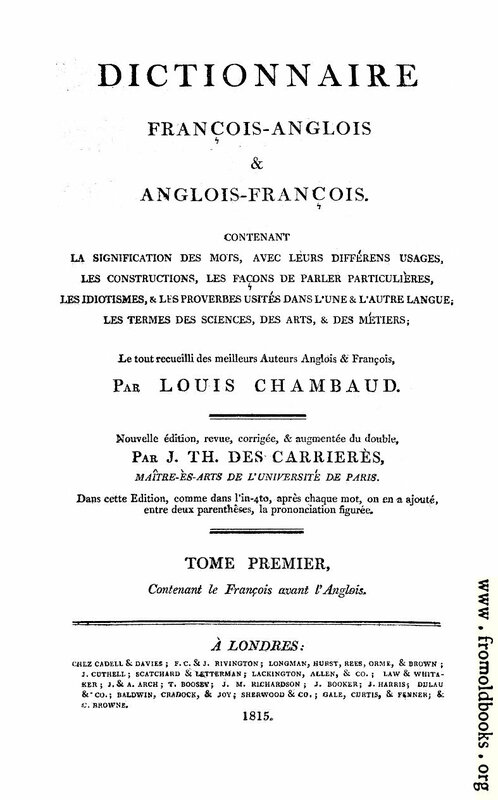 Dictionanaire François-Anglois & Anglois-François. 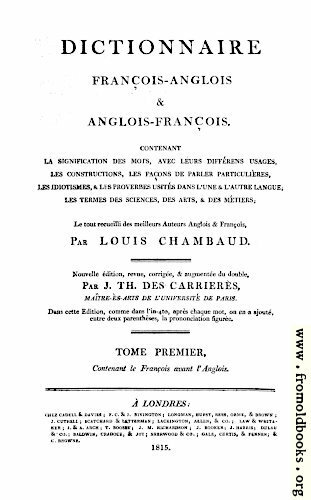 [...] Par Louis Chambaud. 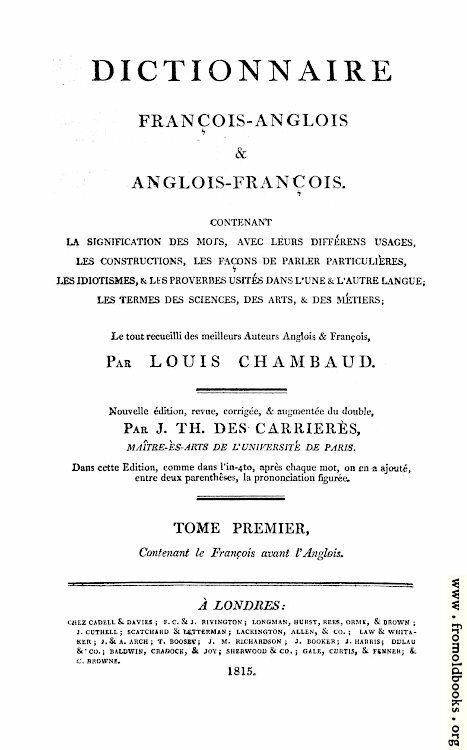 Nouvelle édition, revue, corrigée, & augmentée du double, Par J. TH. Des Carrierès, Maître-ès-arts de l’Université de Paris.